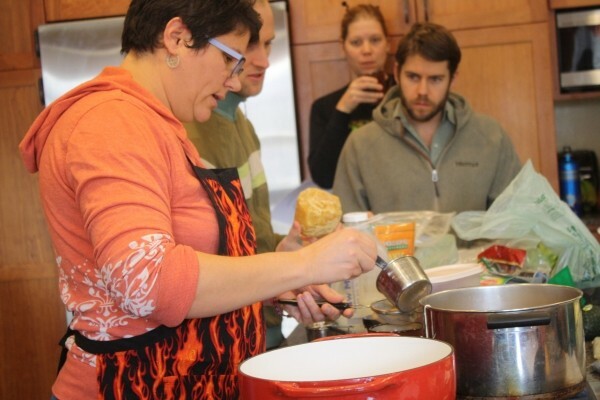 Group chanting begins each Ayurvedic cooking class—an eclectic, enchanting experience. “Vakratunda Mahakaya” is a mantra chanted to the Vedic deity Ganesha, the remover of obstacles. “It’s putting an intention into your cooking,” says co-instructor Brandi Allen. Therein lies this system of therapeutic cooking’s basic process of absorption, assimilation and elimination. When more advanced, it is concerned with balancing one’s constitution—dosha—by analysing the elemental properties, tastes, digestive effects, etc. 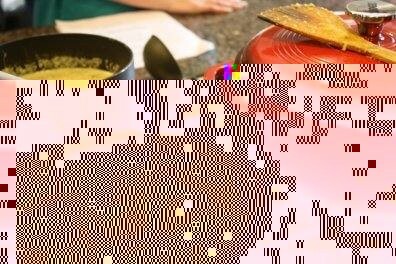 of food, herbs and spices. A little esoteric? It’s essentially about eating fresh, staying disease-free and maintaining internal harmony. After the mantra, students help prepare the dishes. The seasonal multicourse menu at my class included masala chai, kitcheri—“the most used and digestible Ayurvedic food,” Allen says—sauteed Brussels sprouts with avocado sauce, and roasted pears with nuts and raisins. Each ingredient is powerful. “It’s not just some spice; it’s a wonderful medicine,” co-instructor and Shiva Centre director Andrejs Gailis says. Over the past year, each of the 10 classes delves into different recipes and a specific lecture/discussion—such as spices, tastes, doshas, incompatible food combining, etc. Allen also suggests visiting Ayurveda.com or reading Ayurvedic Cooking for Westerners by Amadea Morningstar. These classes are an engaging primer, but they don’t preach a dogmatic approach to food. “There are all the sciences to live correctly, then there’s life,” Gailis says.